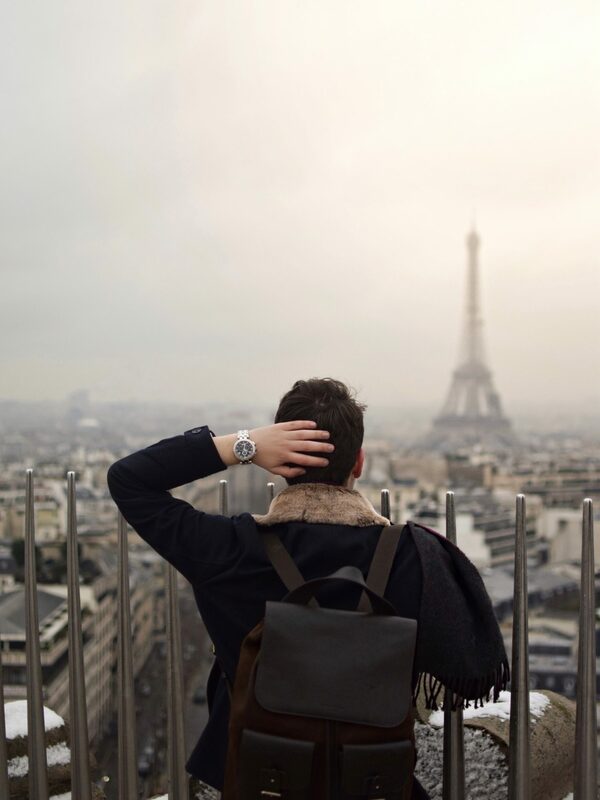 A phrase I often read around Instagram and the blogosphere which, to be honest, I never really thought much of until my recent trip to Paris. In my defence, people on the internet tend to overreact and make things look more exciting than they are, so I did have my inhibitions on the French capital. 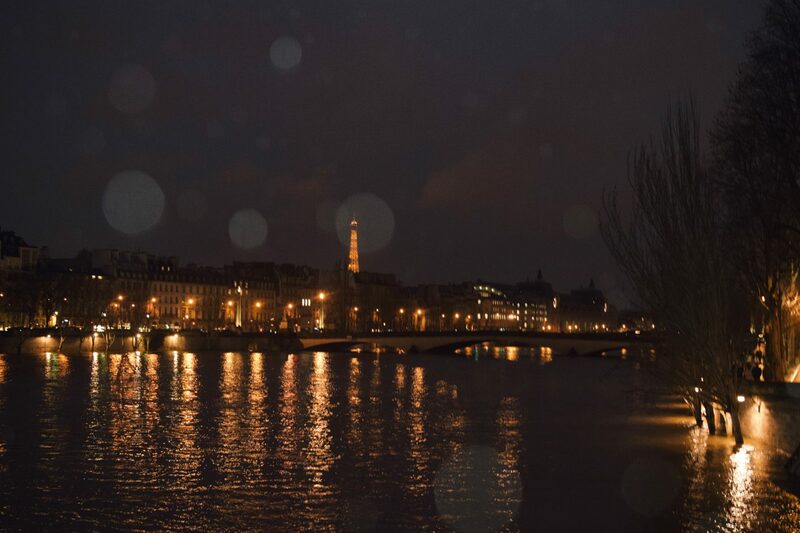 However, In my surprise, It only took a short trip to the city of lights to fall in love with it and desperately make me want to go back again. 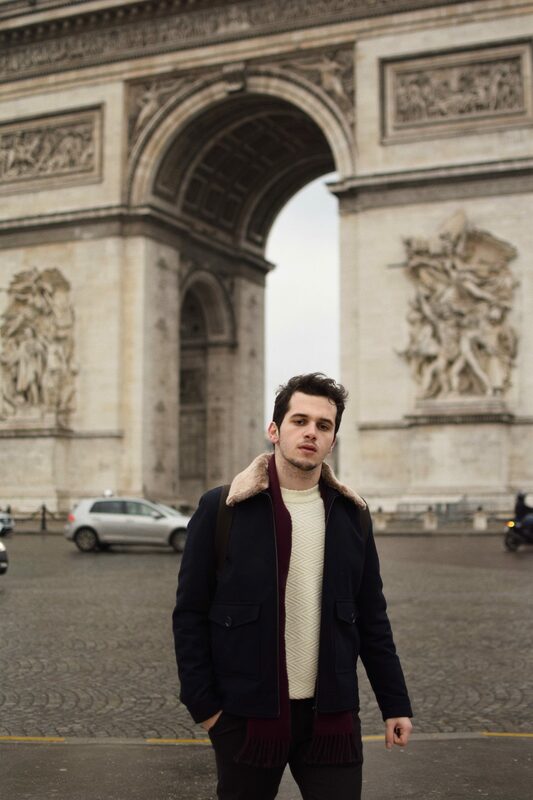 My stay in Paris was only for 3 days, but with an extensive research and careful planning, I managed to do most of the things on my list. I had separated the places I wanted to visit based on the arrondissements (districts) that they were in which made the whole process much easier and even allowed me to make a rough schedule of how the days were going to be played out. Of course, I left time for spontaneous decisions because this is the best part about travelling! 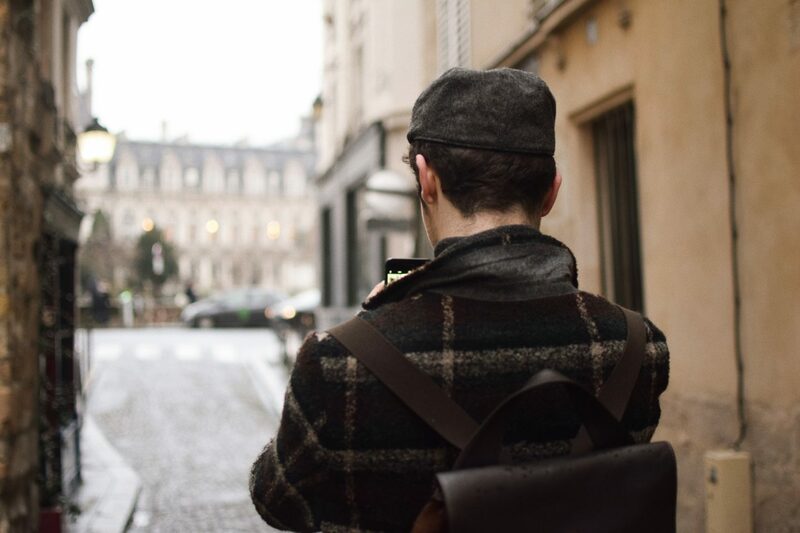 Below you can find a Paris Guide with a few of my favourite spots from the trip, perfect both for photo ops and for exploring the magic of the city. Starting the list with a rather obvious one, as I am pretty sure it’s impossible for anyone to miss out on the Eiffel Tower. I, unfortunately, didn’t get the chance to go on top (it was freezing cold and snowing the day I visited) but I did manage to get a few pictures of the tower from different points. My personal favourite places to get the killer Eiffel Tower shot have to be Trocadero and near Rue de l’Universite. Don’t worry, the list will eventually get more interesting as you read further down, but I loved so much the views from Arc De Triumph that I HAD to include it in my post. The entry is also free for Europeans under 25yo which gives you no excuse on why you should ever skip this. 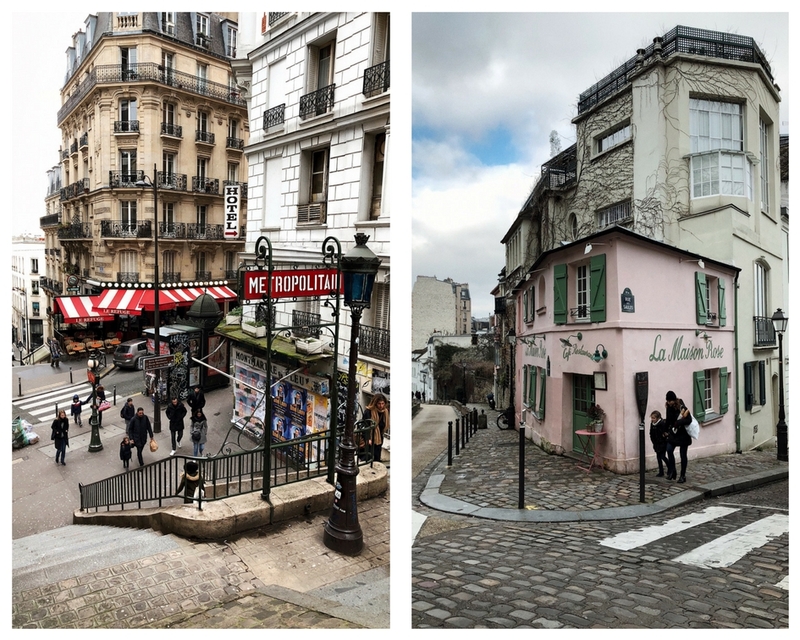 Undoubtedly one of my favourite places in the city, Montmartre is the perfect place to get away from the hustle of the big city and explore a different point of Paris. 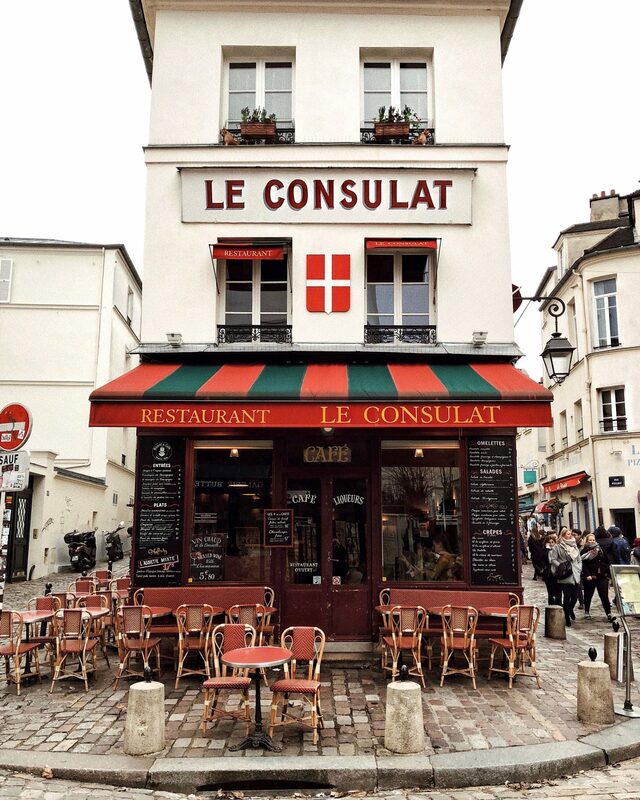 With small brasseries in every corner, cobblestone alleys and vintage stores, Montmartre makes you feel like you were transported in the 1920s and I was all about it! Everything is so picturesque in this part of town and I strongly advise you to take a good few hours (or a full day if you can) to explore as much as you can of the area. 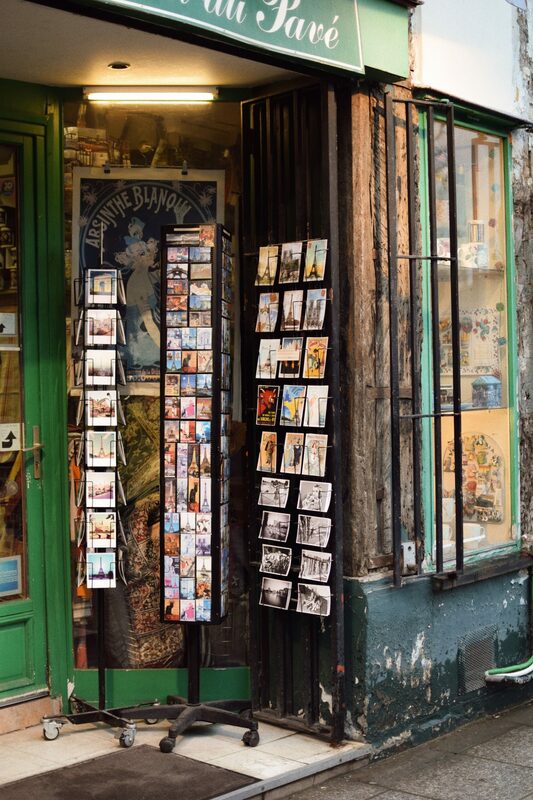 On my visit to Montmarte, I took the Metro to the Abbesses station and walked my way up till Place du Tertre, the famous artists’ square. 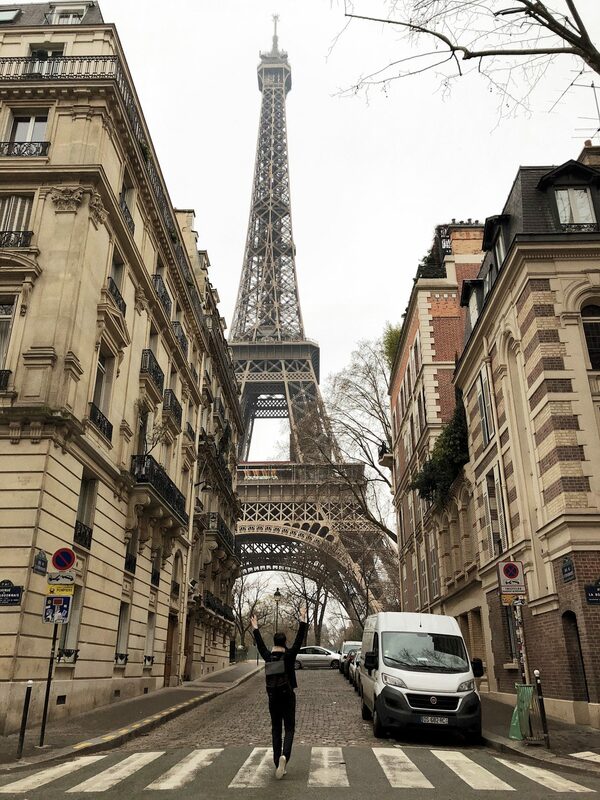 The walk to the top is filled with steep stairs so make sure to have sensible footwear with you as you really don’t want to miss seeing Paris from the top. 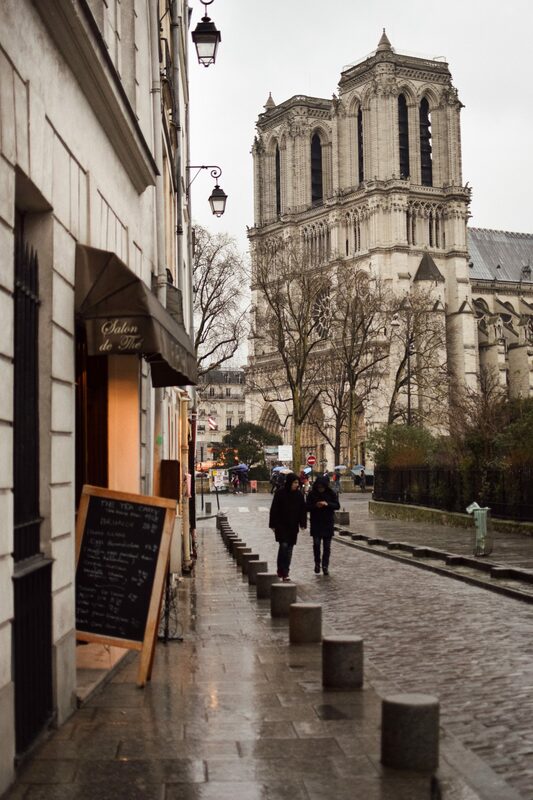 Once you reach, don’t forget to stop by the famous steps of Sacre Coeur where you get can one of the best views of the city or (if you are feeling tired) have coffee and fresh pastries at Le Consulat (one of Paris’ most famous brasseries). Before coming to Paris, I always thought Avenue des the Champs-Elysees was the IT place for shopping. But after a quick visit to Place Vendome, it turns out that this is the place to be. 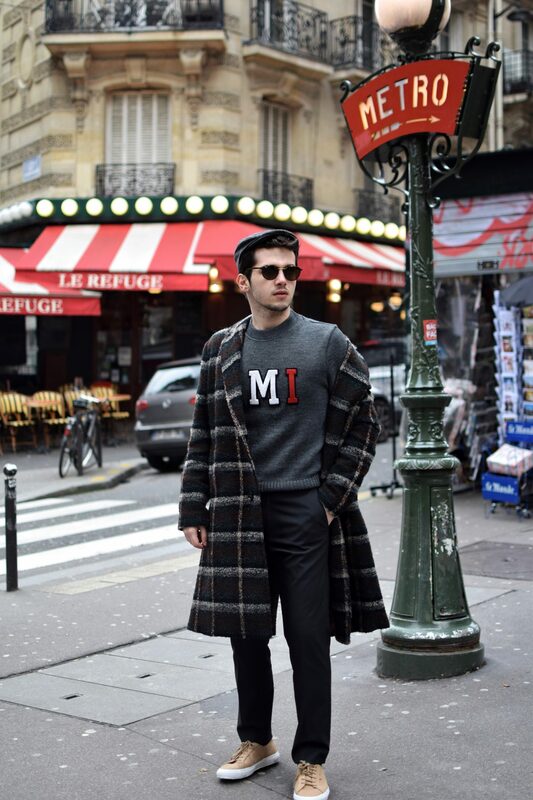 The square is inundated with stores from luxury French and International designers and it is home to many renowned hotels and pastry shops like the Ritz Hotel and Hotel Costes. Did you even Paris if you didn’t pay a visit to Laduree. The French luxury bakery is famous for its pastries and macaroons (you have try the pistachio flavour!). 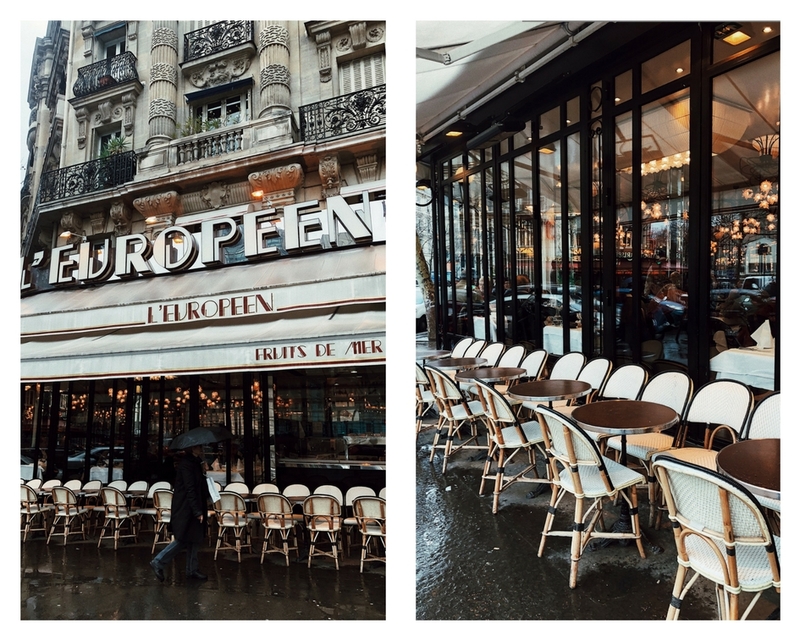 If you have time on your schedule, make sure to sit for tea at their Avenue des the Champs-Elysees location which feels like it came out of a fairytale! Paris’ most famous hot chocolate that has everyone talking! Order it with their mont blanc dessert if you are feeling hungry. With stores all around the world, the Paris born artesian bakery has seen huge success for a reason. Everything from their stores is simply delicious! Whether you are getting just a baguette or you are in a mood for a pistachio-chocolate roll, Eric Kayser will not disappoint. In my Paris Iphone list, this place has a “ I have to go” in capital letters next to it, so if this doesn’t convince you, I don’t know what will. The best place for snails in Paris. 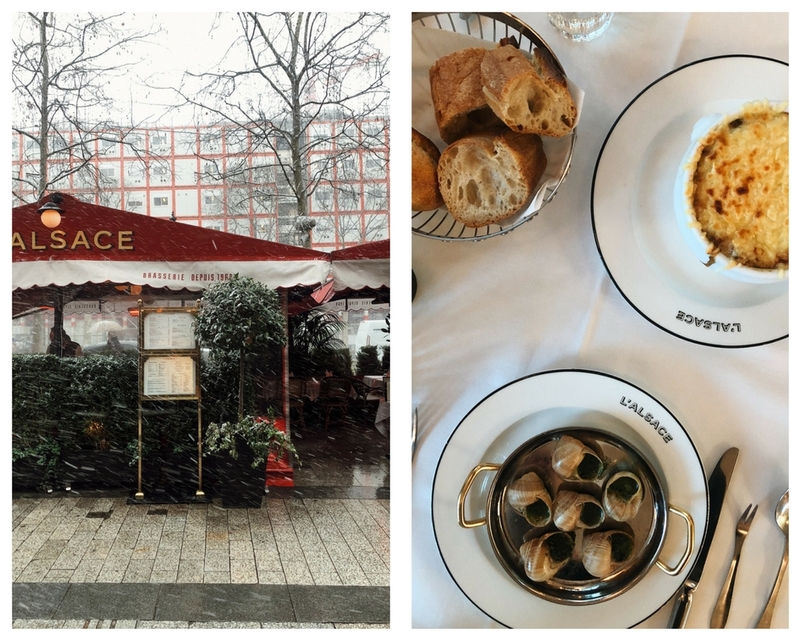 L’escargot Montorgueil specializes in the French delicacy with an extensive menu ranging from the classic parsley butter to gourmet ones with truffle oil. Another French classic, steak and frittes, is cooked and served to perfection with a generous amount of sauce in this restaurant. It’s huge success resulted in the opening of 4 locations around Paris which makes it easily accessible for a good dinner in town. Saved the best for the last, my meal in L’Alsace was by far the best one I have had in Paris. Not only for the amazing food but also because of its reasonable prices. The restaurant is on the Avenue des the Champs-Elysees and their lunch/weekend deals means that you can dine in a luxurious setting for just 20 euros. Everything from the French onion soup to the steak and frittes to the escargot was amazing and I will definitely be coming back next time I am in Paris. Hope to see you soon, Paris!